The last week I was asked by a local logger to takes two 8’ red cedar slabs and two pine poles and build him a 42” high liquor bar. It was finished with 4 coats of clear epoxy resin and 3 coats of Spar varnish. 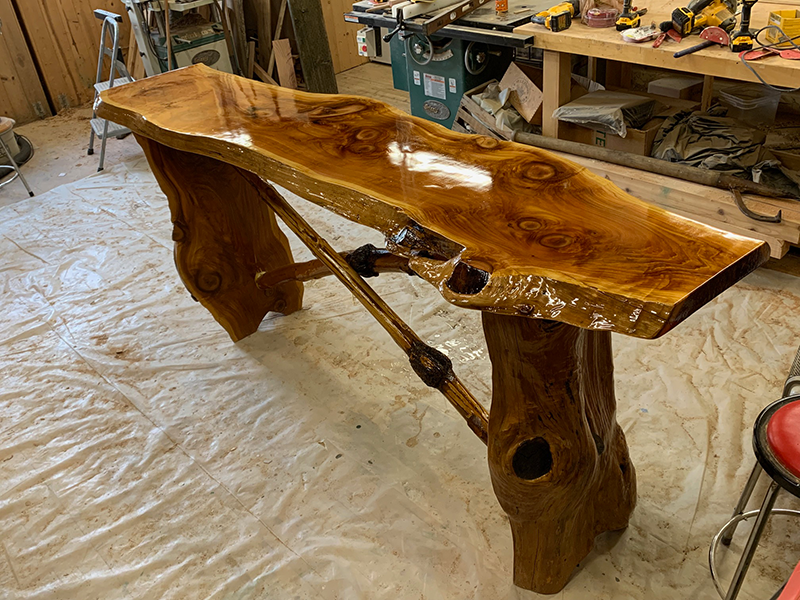 This entry was posted in Cathlamet, Custom Wood Furniture, Puget Island. Bookmark the permalink. Post a comment or leave a trackback: Trackback URL.